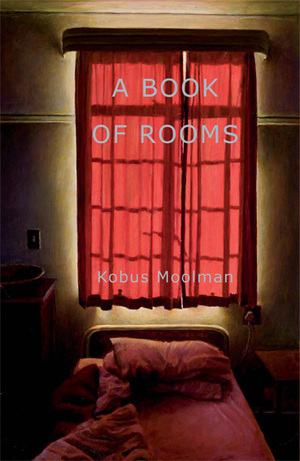 A Book of Rooms, Kobus Moolman’s new collection of poetry, deepens the explorations of his recent books Light and After and Left Over. While their Beckett-like sparseness and doggedness is still there, A Book of Rooms moves into a realist-biographical narrative form. Arranged in physically dense scenes described as ‘rooms’, it inhabits the childhood and young adulthood of a man with a serious physical disability growing up in a grim family environment in the final years of the white side of apartheid. The reader is compelled immediately into the character’s bleak and constant meetings with pain and failure. Yet inside this present-tense current can be felt a powerful will to live, sharp flashes of humour – and an even more powerful drive to know the truth. The reader is constantly located in the artist’s body negotiating between the physical space of bricks and mortar, and the inner, imagined reality which is a shifting, unreliable space … The highlight of this collection is the third section, entitled “Anatomy” … an extended meditation on the body as the place of fragmentation and reconnection, depersonalistion and reintegration … searing, honest and brave, opening to the reader in progressively intimate revelations that enable one to experience firsthand the narrator’s visceral reality. Working through a Moolman volume is both a rewarding and exhausting experience … However in a country where poems are too often simply sound-bites for fleeting perceptions and states of mind, [...] Moolman moves into a different space entirely, and has taken a much more difficult and honest path. The reader will emerge from this poetry chastened but delighted. They are works of acumen, depth and extraordinary pressure.